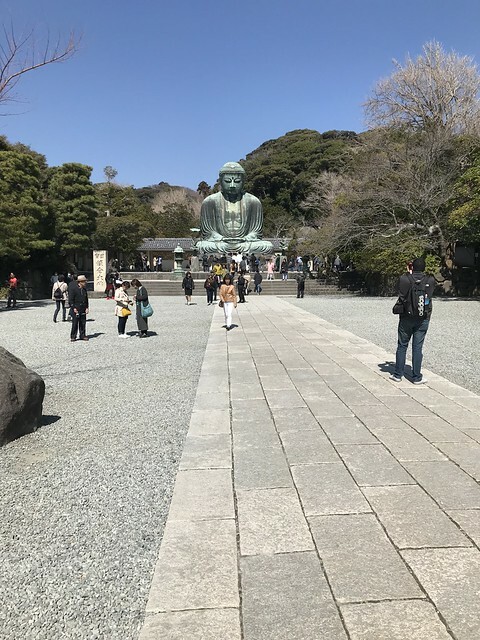 The last time I was in Japan, Kamakura was my favorite place to visit. It's a small seaside town with a massive buddha and a couple of gorgeous temples. I was excited to go back and do one of the hikes I didn't get to do last time and visit one of my favorite temples with beautiful ocean views. 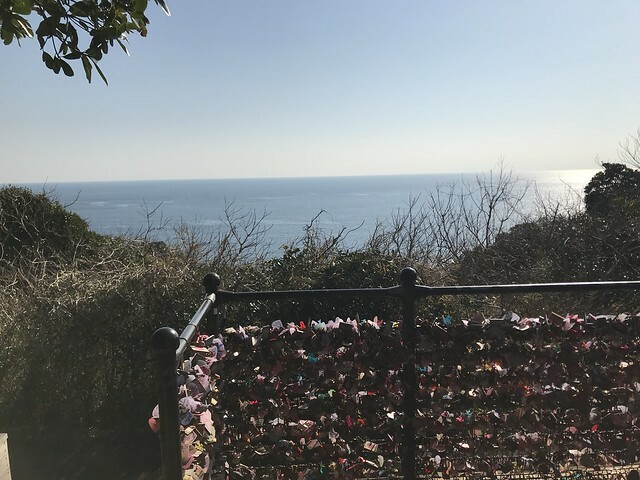 Plus we decided to throw in a stop to the island of Enoshima too. 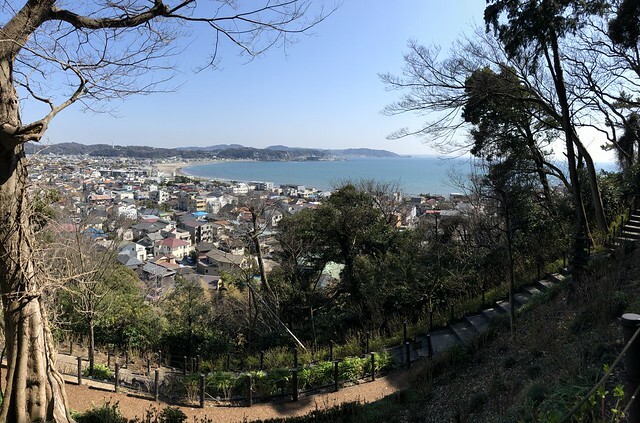 Originally we had planned our Kamakura/Enoshima day for Tuesday, but after hitting some travel snafus we ended up bumping this up a day earlier. 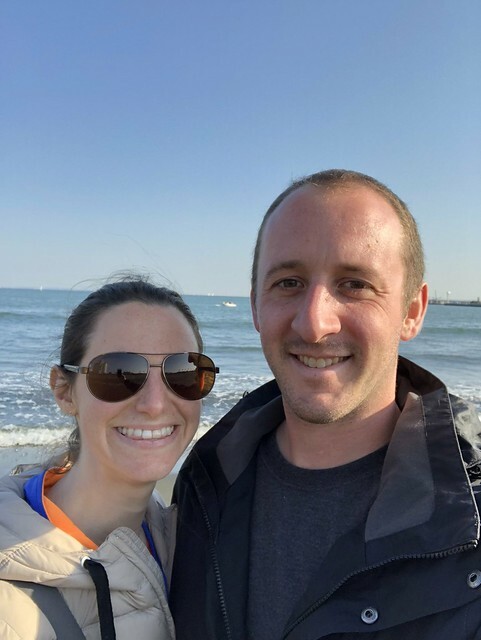 That ended up being a really bad decision since we were both so exhausted from our super long day of travel back from Miyajima that I don't think we enjoyed Kamakura as much as we could have. I mean it wasn't all bad, we still had a good time as you will see, but there were just moments where I literally stopped walking in the middle of a street and whined that I couldn't take another step. (Yes I was very dramatic). Anyway, after getting off the train in Kita-Kamakura, we made our way to the Diabutsu hiking course. This trail through the woods leads you to the giant buddha. It's about a 60-90 minute hike if you don't stop at any of the little temples along the way. 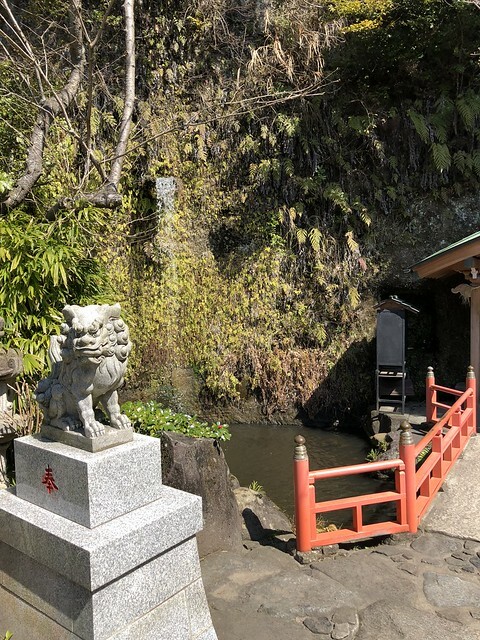 Since we had seen our fair share of temples, we skipped a lot of them, but I did want to stop at the Zeniarai Benten shrine about a quarter of the way through the hike. 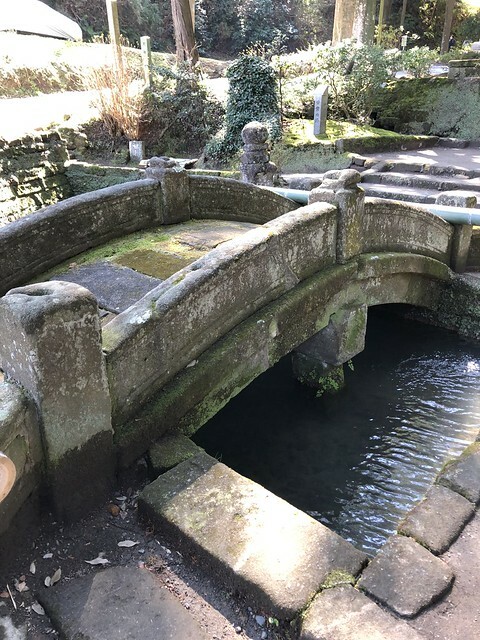 A popular legend says that if you wash your money in the spring waters at this shrine it will multiply. I figured there was no harm in trying, so I took one of my yen bills and did what everyone else was doing. So far I have not won the lottery, but I guess it could still happen. 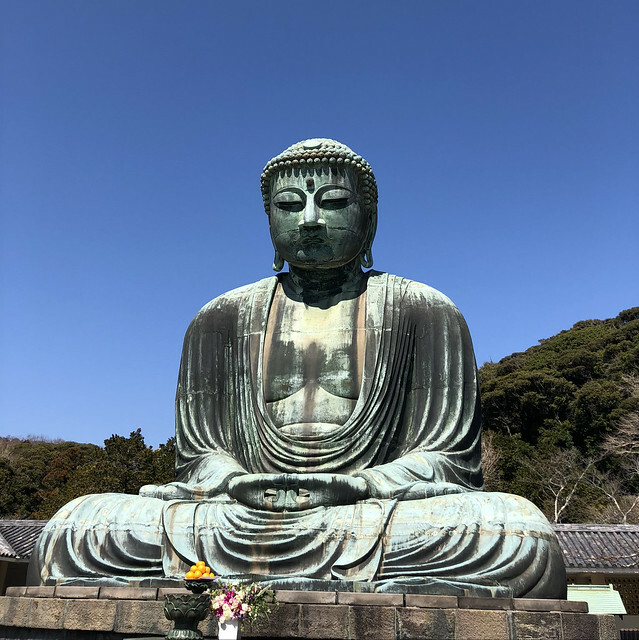 We continued on our hike through the woods (and I realized I didn't take a single picture of the actual hike), and eventually made our way into town right to the Giant Buddha. 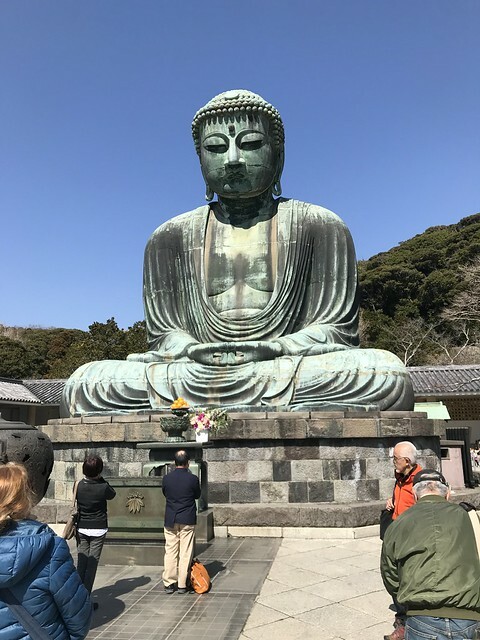 I will say after seeing the massive buddha in Nara, this one didn't seem quite as spectacular as it did the first time around. I mean don't get me wrong, it was still huge and a really cool sight to see. That one in Nara is just so crazy everything else kind of pales in comparison. 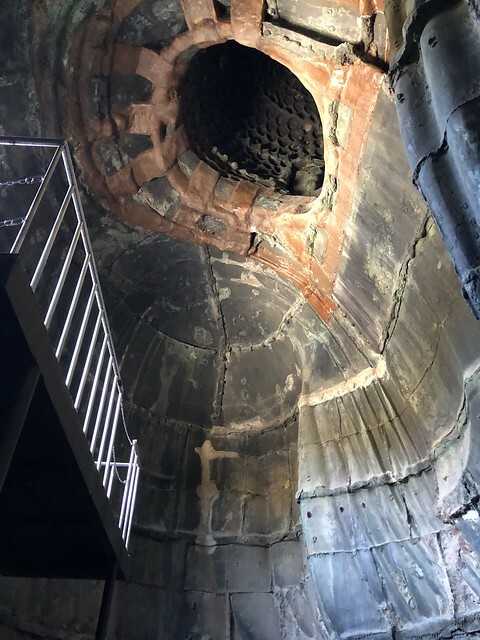 We did get the chance to go inside this buddha's belly though, and while the inside isn't anything too gorgeous to look at, it's a fun experience walking into a buddha belly. After the big buddha we strolled through the main drag in town, making our way to Hasedera temple. This is one of my favorite temples because it has a lookout point offering stunning views of the coastline. 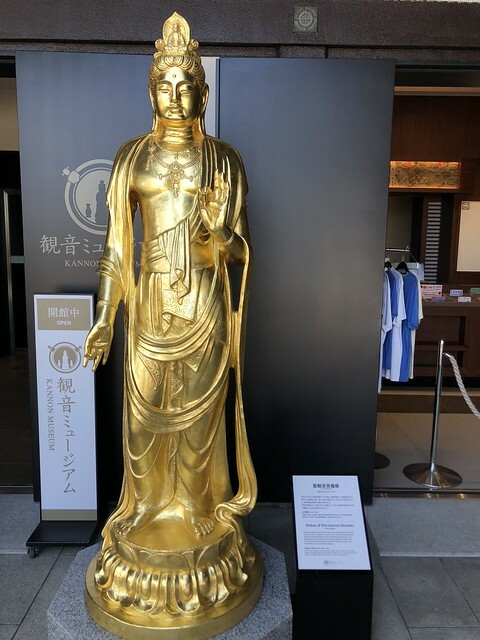 It also houses a massive statue of Kannon -- you aren't allowed to take pictures of the statue, but they have this replica outside. Just picture this, in wood, about 50 times taller. 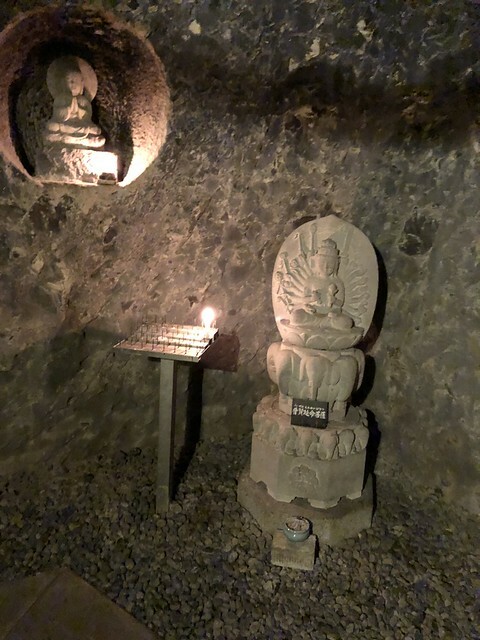 We also explored the caves at this temple which are lined with carvings and tiny little Kannon statues. 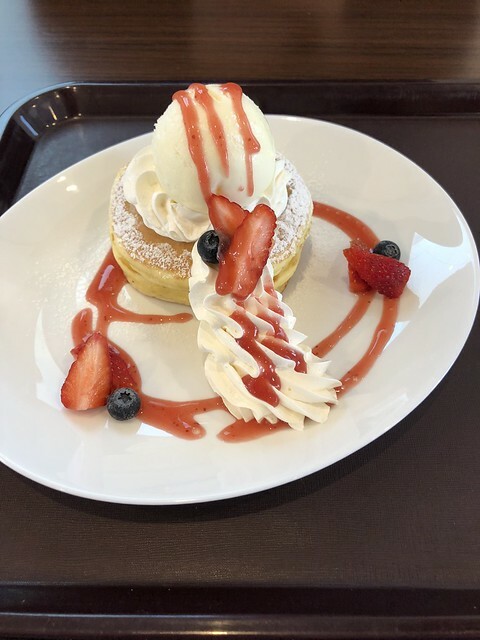 Our hike plus temple exploring made me quite hungry so we stopped for lunch and I indulged in what could really only be called dessert for lunch. These are pancakes topped with ice cream and strawberries. It was delicious, but as I realized about an hour later, not nearly enough food, so I supplemented with cherry blossom ice cream. 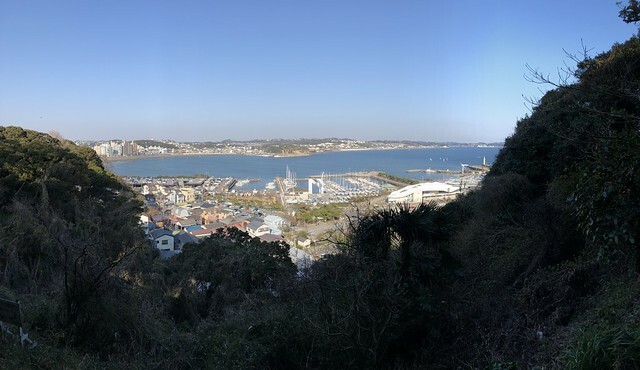 After lunch we made our way to Enoshima. 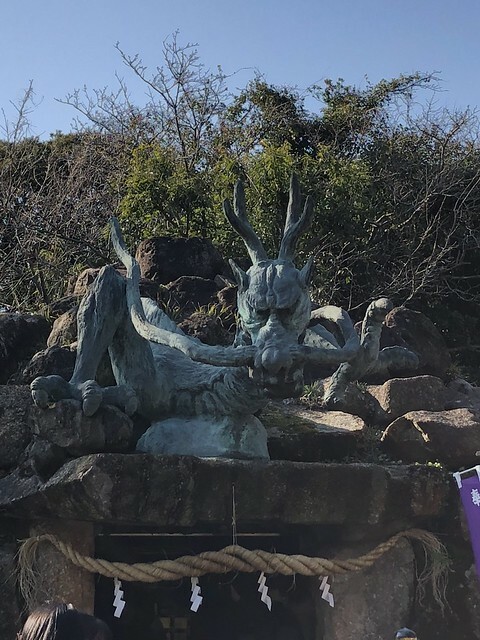 This is a little island is said to have been created by the goddess Benten before she did battle with a five-headed dragon. The dragon theme is clearly evident all over the island. 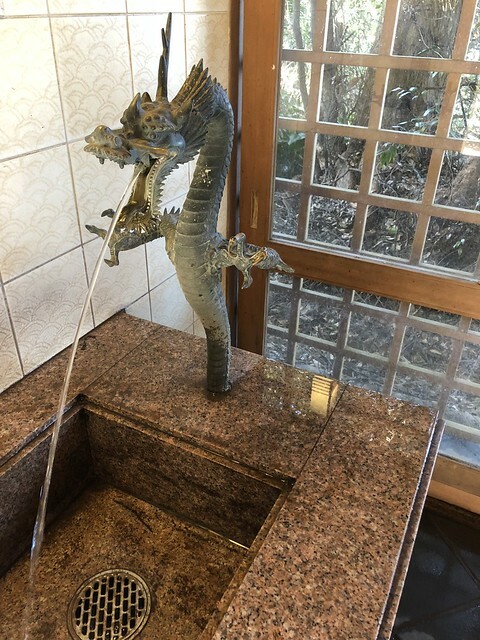 There are little shrines with dragon statues guarding them and even the sink in one of the bathrooms is made in the shape of a dragon. 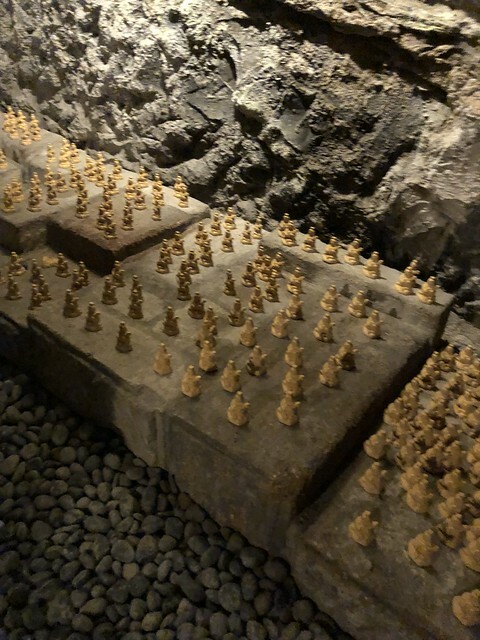 One of the things I really wanted to do on the island was explore the Iwaya Caves. But apparently they were flooded or damaged in a typhoon back in October so we couldn't. I was pretty bummed, since I'd heard they were pretty cool to check out. We wandered around the island for a little bit longer, enjoying some of the pretty views before heading back to the mainland. We made a pit stop at one of the beaches to stick our fingers in the ocean. 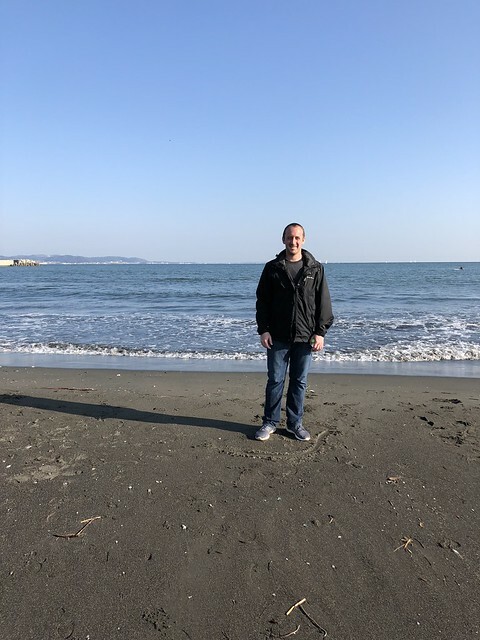 It wasn't quite as cold as I expected for how chilly the weather was. We then hopped some trains back to Tokyo where we met up with Scott and Christine for dinner.